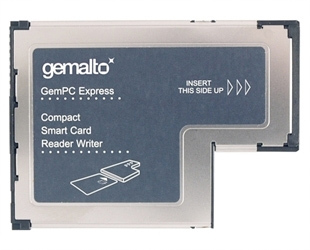 If you’re looking for a smart card reader/writer that is easy to install and use that offers a simple design and USB connectivity then look no further than the Safenet Reader CT510 the compact smart card reader/writer. The Safenet Reader CT510 smart card reader with its robust metal casing has been designed to plug into a standard ExpressCard 54 PC slot making it the ideal solution for business network security needs. Not only that but this smart card reader is compatible with a range of operating systems and compliant to industry standards including ISO-7816. If you want a cost effective solution to your smart card reader requirements with effortless connectivity and security then the Safenet Reader CT510 is the smart card reader/writer for your business.